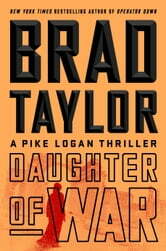 Daughter of War is the 13th novel in Brad Taylor’s Pike Logan series. This thriller adds a new element to the continuing adventures of the Taskforce, a clandestine US counterterrorism unit led by Pike. 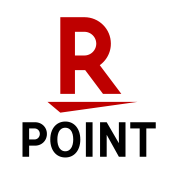 The novel works well as a standalone, but backstory from previous novels enhances the understanding of the primary characters and the team dynamics. Pike Logan and Jennifer Cahill and the rest of the Taskforce team are on a critical mission to disrupt the sale of a weapon of mass destruction. They are joined by a young Syrian refugee, Amena, who has accidentally placed herself in path of the bad guys. 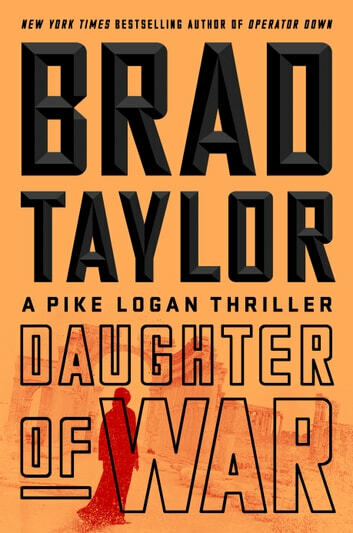 I am a fan of Brad Taylor, and Daughter of War is another expertly written novel from this master of the action thriller. The primary characters are developed even more in this edition of the series. The riveting plot is intricate and scarily believable. The action is fast-paced and keeps the adrenaline pumping. I was enamored by the detailed rendering of the scenery. Taylor explicitly describes the background scenery and blends it seamlessly into the plot. He takes the reader around every historic corner and to breath-taking summits. I thoroughly enjoyed this 13th edition of Pike Logan’s escapades. Daughter of War gives a complete view of the collaboration between Pike, Jennifer and the entire team. I couldn’t find any cons in this novel, so I rate it a solid 5 out of 5. If you crave action and adventure with realistic human interaction, this is the book for you. If you’re not a fan of violence, you might want to take a pass on this one. I have read many of the Pike Logan novels. Those people have become real to me which as an avid reader I like. In my world cannot imagine what the young girl had lived through. The story line was interesting because of all the game players. Should not call it a game but for some, it is. Great read.